Let me start by saying that this book, without a doubt, has been one of the BEST review books I have ever had the pleasure of receiving. We are huge science, science fiction, space fans, and to be able to receive anything related, is amazing, but this Space Atlas? I don't even have words for how absolutely brilliant and stunning it is. This is not a small lightweight book, this is a gorgeous hardcover, 352 pages long, filled to the brim with the best of the best information you could ever wish to have in one single place. 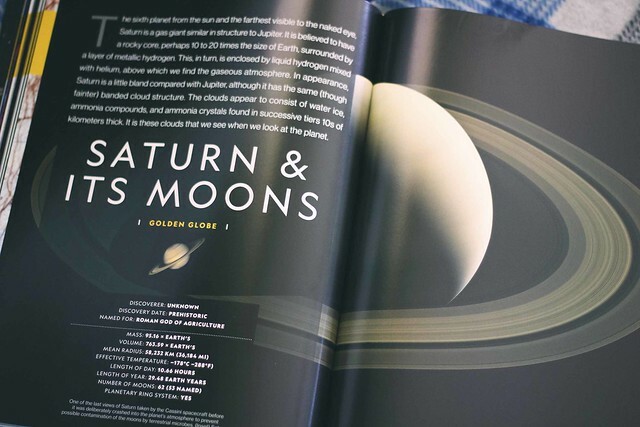 If your family loves space, planets, the solar system and galaxies and just astronomy in general, I highly and I mean HIGHLY suggest grabbing yourself a copy of National Geographic's Space Atlas. 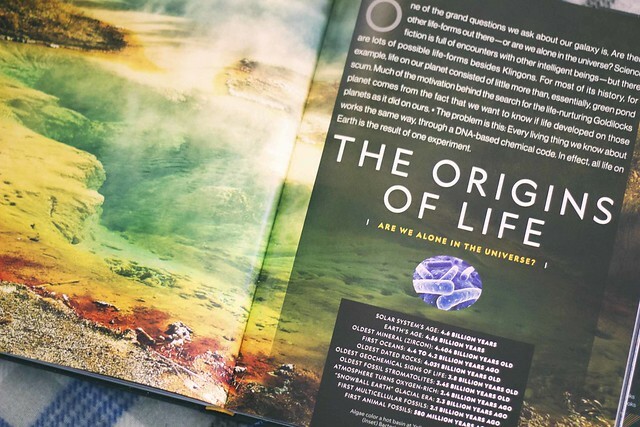 The book itself is very well organized into chapters that cover everything from the solar system, to galaxies, the universe and ending with mysteries. 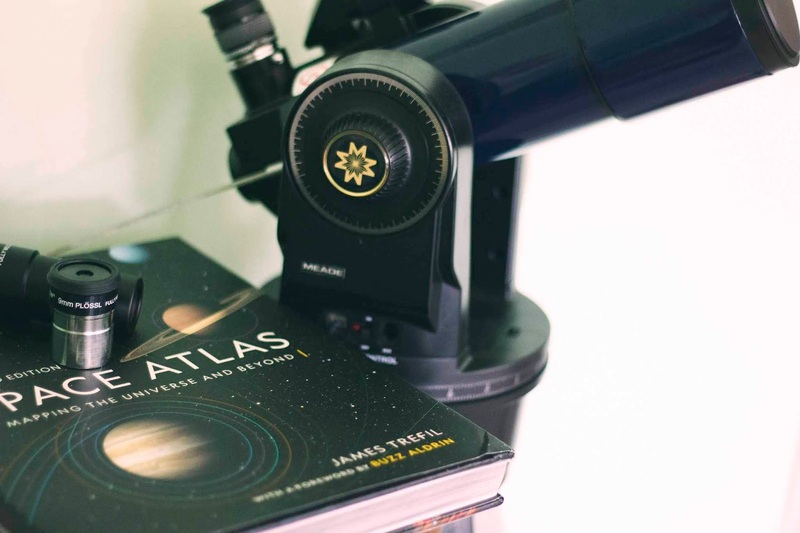 Each chapter is not only informative but extremely detailed, but before we even get into the chapters, one of the things that we are given in the very beginning, are sky maps, and if you love astronomy, sky watching and love using telescopes like we do, these are just what we need and will certainly come very handy. It will make finding a particular planet or star constellation, so much easier. I also think it will be very educational in teaching young ones all about the night sky. Right, now let's get right into just how brilliant these chapters are. 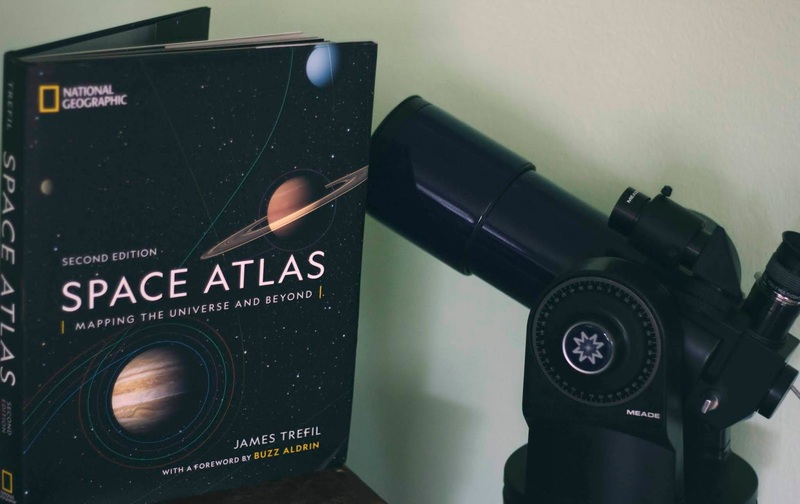 I was honestly in awe with this Space Atlas, I could not believe how much it contained not just information wise but in the beautiful photos and illustrations throughout the book. The first chapter focuses on the planets, but this not the usual "Oh here's this planet and here's a picture and a little summary of the conditions found on that particular planet." No, it goes beyond that, because not only does it give you specifics from mass to volume and temperature etc., but it talks in detail about the planet itself, it's moons (including pictures) and maps to the moons with key legends telling you exactly what is what and a ton more information. I was shocked at just how good it was and how much I learned. 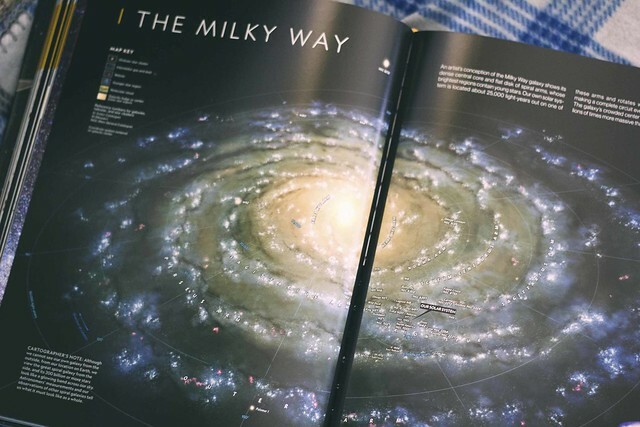 The next chapter is all about the milk way galaxy and WOW, just WOW!!! The origins of life.....and holy mackerel, this chapter was one of the most interesting for me, mainly because it does focus on that question we all have had in the back of our minds. With a galaxy and universe as big as ours, are there any other life forms out there? I believe there are, personally to me it makes no sense that we would be the only life in this huge vast universe. 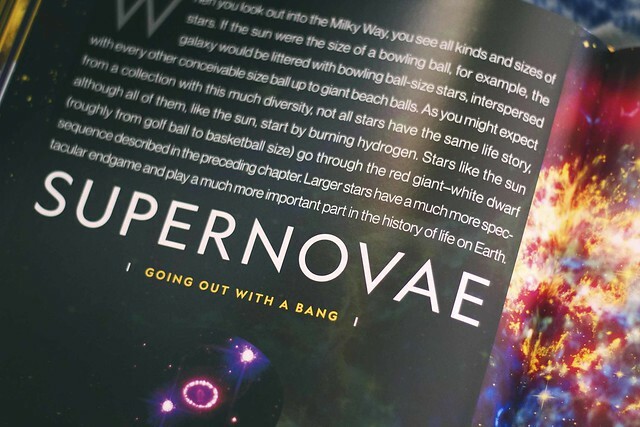 Supernovae, black holes, dark matter, exoplanets, Seti, comets, string theory and gravitational waves. I could sit here all day and go on and on and on about how amazing this book is, but I just don't have the time for that. My husband who is a genius when it comes to anything science and space related, and the biggest nerd on earth when it comes to string theory and the universe and all that stuff, was like a kid in a candy shop when he first got hold of this book. This is the kind of stuff that he studies, researches and loves and even he was in awe of how well written this Space Atlas is. I have yet to finish the entire book, there is far too much information to read and learn and I'm loving taking my time with it. But, I have to say, this would make the best Christmas present for anyone interested in space, planets and so on. I don't often tell you to go out and get yourself a copy, but in this case, I have to stress it, and tell you that you would be missing out so much, if you didn't get a copy of this brilliant book for your own home. Thank you SO much to TLC Book Tours, William Morrow Books and National Geographic. Wow! I think my son would really love this book!